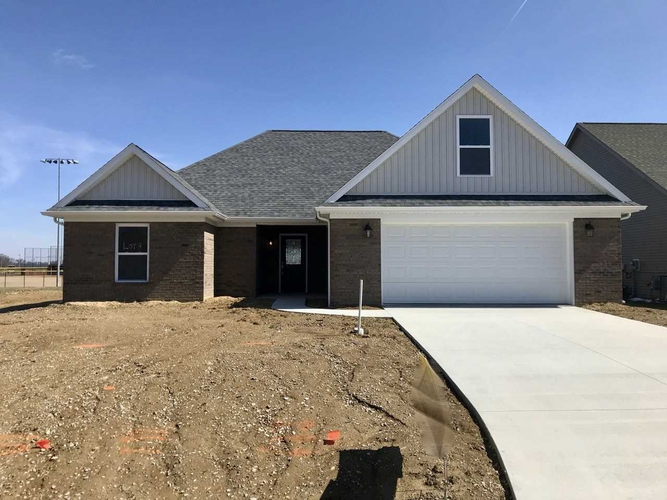 Ready to move into this 1,902 Sq Ft, 3 bedroom 2 bath home located on 6429 Kinway Drive [Lot 8]. This home features all bedrooms on the main level with a spacious bonus room located above the garage. You will notice the beautiful half glass front door upon entry and the stunning hardwood floors as well. The kitchen features dark stained cabinets with granite countertops and a stunning backsplash. The master suite contains a custom tile shower and large walk in closet. This home is located on a lake lot. Directions:North on Green River Road, West on Heckel Road, pass Deaconess Sports Park, North into Kinway Park Subdivision, 8th Lot/home on right.